We design and build multi game arcade machines for sale and delivery across the UK. With a choice of two different game packages, our machines are suitable for the home, office or commercial environments. Running a customised version of RetroPie and always built around the latest Raspberry Pi computer, our arcade machines are bespoke, hand-made and awesome. Everything we make is offered on a commission basis so there's always scope for customisation where required. As of September 2018, we offer a rental service to venues across South Wales for single or twin machine rentals for parties, corporate events and weddings. We love what we do and it shows! We grew up with video games from the 70s, 80s and 90s and with the advance of affordable modern technology, ejnoying these classics is easier than ever. 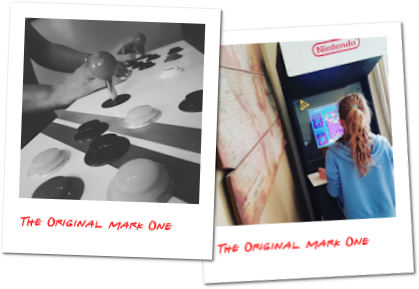 We got started back in December 2014 with our very first upright arcade machine, the Mark One. Running a Raspberry Pi with an early version of RetroPie, it had just about 250 games and became the inspiration for what was to come. In early 2015 came the Mark Two, another upright model and the first one sold - It ended up in Latvia. Following that came our first bartop style machine, the Mark Three followed by yet another upright moden, the original Mark Four. 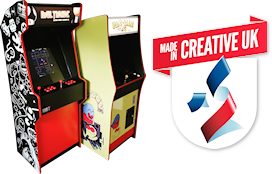 This was the first machine to appear on our original website in April of that year and the first Custom Arcade Machines UK branded machine. In the years since, we've designed, built and shipped dozens of machines all over the UK to homes, small and medium sized businesses and even a school. Our designs have improved and become more varied, the games included have increased massively. We offer customisation to businesses, build replica machines and are more than willing to take on custom projects.